Brand new pop-up books, fresh from the press! 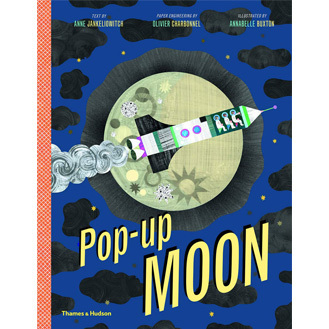 On this page you’ll find an overview of newly released pop-up books that are available for order right now. For books that are yet to be released you can visit our Upcoming Pop-Up Releases page. 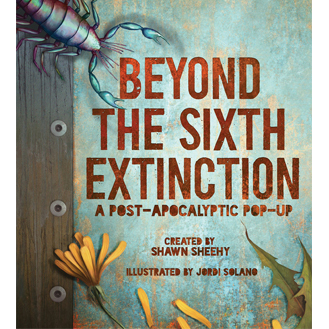 Check back regularly to discover more new pop-up book releases! Featuring four evocative scenes including under the sea, in a forest, at a castle, and inside a cave, and over 100 characters to press out and use. The book also includes four plays to read and act out. The story possibilities are limited only by your imagination! 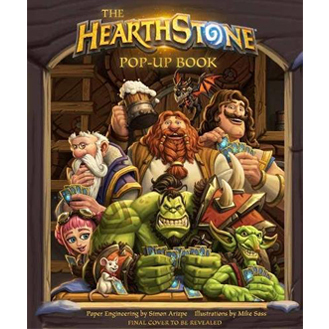 Embark on an exhilarating journey into the world of Blizzard Entertainment’s Hearthstone. Take your place alongside the nine major heroes and enjoy a charming story told with the game’s signature wit and whimsy. Unfold each page to reveal a spectacular central pop with booklets of smaller pops. Harry Potter: A Pop-Up Guide to Hogwarts is an exhilarating, interactive guide to the iconic school of witchcraft and wizardry. 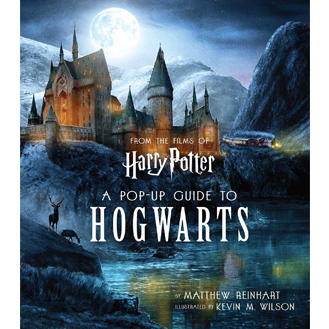 This book features spectacular pop-up re-creations of key locations inside and outside Hogwarts castle, and it opens flat to form a pop-up map of the castle and its grounds. Whether or not we know it, the sixth global extinction is already under way, propelled not by a meteor but by human activity on Earth. Take a long step forward into the year 4847 with the help of stunning pop-ups portraying eight fantastical creatures, along with details about each one. For the first time ever, a tale from the Persian Book of Kings springs to life in this ingeniously crafted pop-up book. 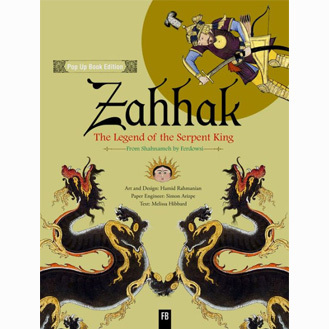 The fantastic world of Zahhak: The Legend of the Serpent King literally pops off the page with intricately crafted spreads, two pop-up folds per page, and complex constructions. Experience Tim Burton’s iconic film like never before with this nightmarish pop-up of monstrous proportions! From the renowned paper engineer Matthew Reinhart comes a mind-blowing retelling of this classic story in gravity-defying pop-up artwork on every page. 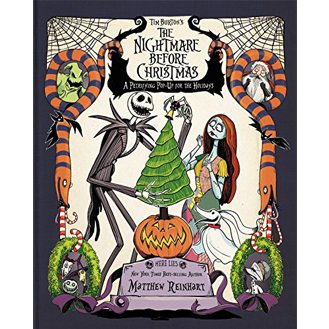 This autographed and numbered edition of The Nightmare Before Christmas Pop-Up by Matthew Reinhart comes in a slipcase with a special pop cover exclusive to this edition. A celebration marking the twenty-fifth anniversary of the groundbreaking movie. 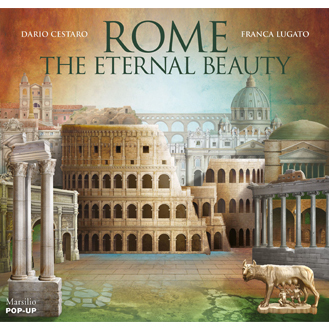 Rome presented through the spectacular paper architecture of Dario Cestaro. A fascinating journey through colorful pages that turn into Rome’s most famous buildings: the Colosseum, St. Peters and the Sistine Chapel, Trevi Fountain, and many others. 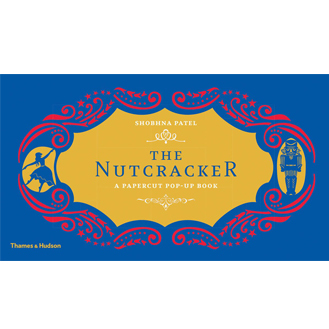 The Nutcracker comes alive in this pop-up adaptation of the classic holiday tale. 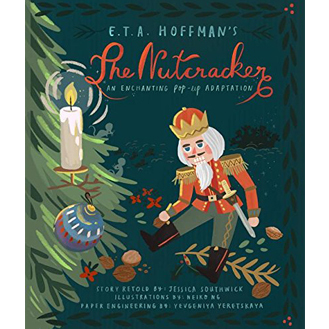 Seven brightly-illustrated and dynamic spreads of pop-ups and interactive elements tell the tale of The Nutcracker like never before. This version of The Nutcracker is sure to become a Christmas classic. 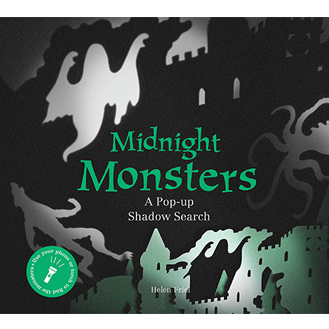 Turn off the lights, get your flashlight, and come on a wonderful shadow adventure with Midnight Monsters! 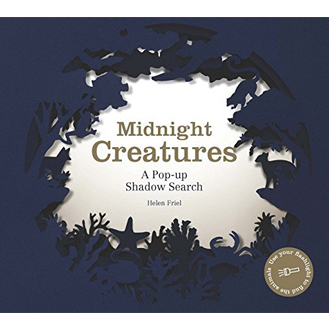 This follow-up book to the immensely popular Midnight Creatures takes you on a journey through five more beautifully crafted pop-up scenes full of hidden monsters to find. Prepare to be amazed by this fabulously clever lift-the-flap, pop-up, pull-out book about numbers. 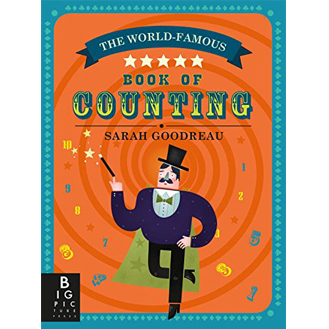 The magic-themed illustrations add a touch of vintage glamour to this fun and elegant counting book. With spectacular sorcery and sensational illusions, there’s something here for magic lovers of all ages. 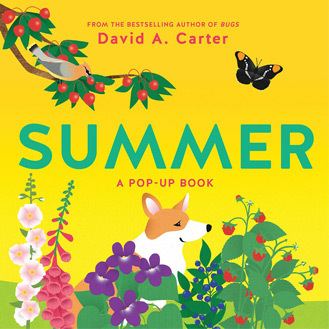 Summer is the final book in the David Carter pop-up book series about the seasons. Each spread has a brief verse and depicts flora and fauna commonly found during the summer. The pictures are labeled with simple text, making the book easy for young readers to understand and enjoy. Tokyo pop-up book pairs cultural and geographical information with artful paper engineering and an exciting storyline. 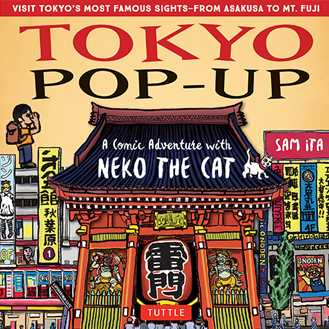 Follow Chico and his mischievous cat Neko as they travel to the world’s largest city, passing through unique sites, each with its own action pop-up to discover. Watch with awe as majestic horses leap off the page when you open this stunning full-color pop-up book. 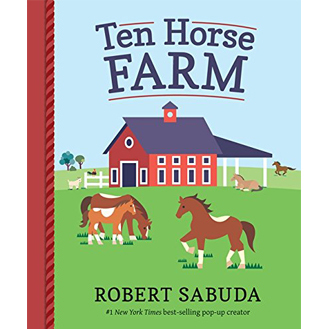 Glorious images of horses grazing, prancing, and galloping in an idyllic farm setting are inspired by everyday scenes in rural America as well as by the real Ten Horse Farm. 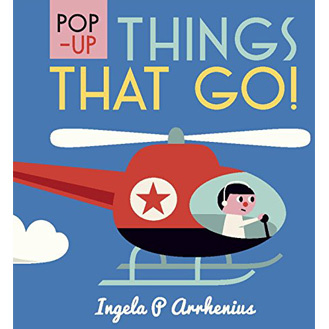 Modes of transportation are exciting and ever popular, and here they get an attractive makeover in a kid-friendly pop-up with pages of things that go, from ice-cream trucks to helicopters. Bright colors and clean graphics set this attractive little book zooming ahead of the pack. Dive into a cool underwater who’s who and what’s what of the sea in this palm-size pop-up treasure. Discover ocean dwellers like the crab, octopus, and sea horse as they make a splash in vivid hues of coral and ultramarine and swim through spreads featuring familiar aquatic items. 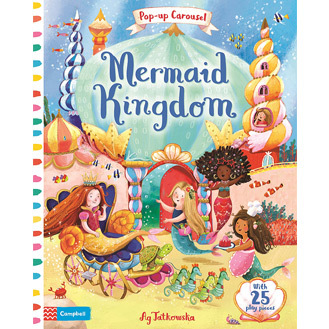 Dive into the secret world of Mermaid Kingdom, in this beautiful pop-up world under the sea! Press out the play pieces and put on a show in three stunning pop-up play scenes. 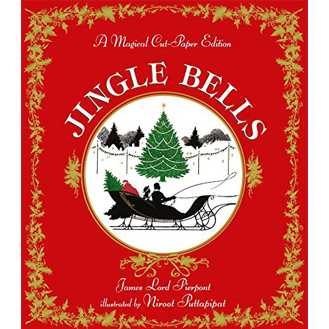 This magical pop-up storybook has a special envelope for safe storage of the play pieces and a pretty ribbon closure. An imaginative pop-up dedicated to love. The seven spreads feature pop-ups of different geometrical and abstract forms. There are hearts dangling from strings, hearts hidden in a forest, and hearts captured by the colors of the rainbow. 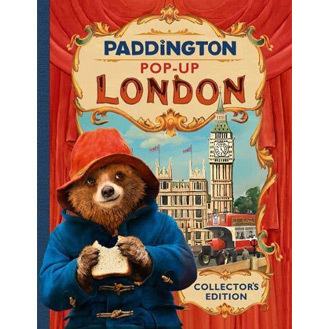 Join Paddington as he leads his adored Aunt Lucy on an imaginary journey through the streets of London. Six stunning illustrated pop-up scenes from the forthcoming movie have been lovingly recreated in this spectacular gift book. 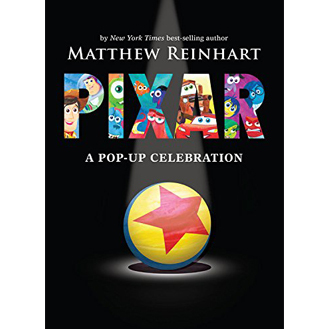 Disney Pixar: A Pop-Up Celebration is a tribute to the beloved canon of Disney Pixar films and characters. Featuring four spreads with over 24 pop-ups, this pop-up book folds out to create a timeline of Pixar’s history that is perfect for displaying. Featuring four spreads with over 24 pop-ups, this breathtaking work of art revisits Pixar’s impressive history. 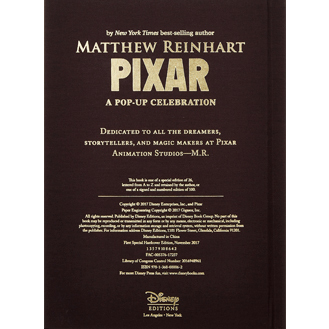 This autographed and numbered edition of Disney Pixar: A Pop-Up Celebration comes in a slipcase with a special pop cover exclusive to this edition. In the ground, in the woods, under the dead leaves, a very special little folk is waiting for you. Five splendid pop-ups show mushrooms in all their beauty and diversity, as well as small insects that are bustling around them. An ode to nature. A classic retelling of Tchaikovsky’s ballet using a new pop-up technique featuring dazzling laser-cut illustrations. The book features four pop-up paperscopes that spring to life when the reader presses each paperscope down to reveal the scene hidden within. 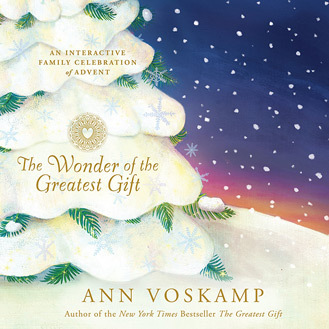 Ann Voskamp expands her presentation of the timeless Advent tradition of the Jesse Tree with this beautiful book that can be and enjoyed for generations. This stunning 13-inch, three-dimensional Jesse Tree pops from the page! 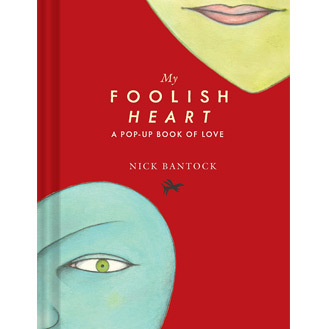 This quirky book takes six heart-themed expressions and gives them new meaning through engaging pop-ups. 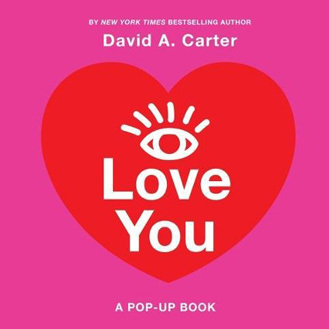 With its inimitable word play on turns of phrase, this playful book is a delightful surprise for Valentine’s Day or whenever a token of unexpected affection is in order. 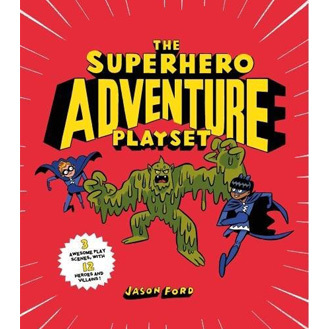 In a cunning carousel format, this compact book opens up to reveal three super scenes – the awesome cityscape, the fearsome Fire Ice Caves, and the evil villain’s Laboratory of Doom – and 12 superheroes, sidekicks, supercars and evil masterminds to populate them. 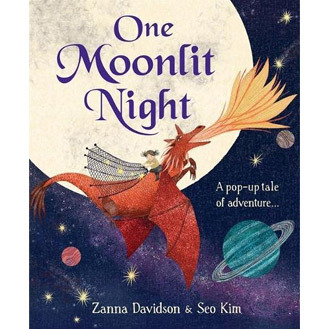 One moonlit night I sailed away in my silvery boat of dreams… A dream-weaving masterpiece of pop-up storytelling, bursting with dragons, starlight and adventure. Just turn the page to enter the magic. 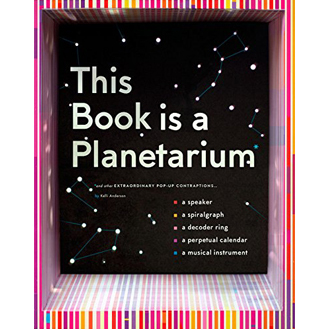 This pop-up book transforms into six fully functional tools: a real working planetarium projecting the constellations, a musical instrument complete with strings, a geometric drawing generator, an infinite calendar, a message decoder, and even a speaker. This clever novelty book is full of surprises. 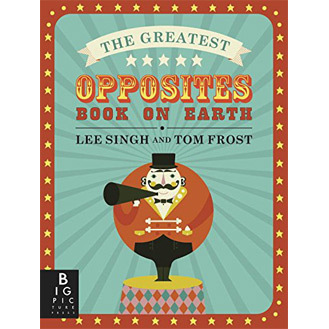 Ingenious paper engineering and gorgeous artwork combine to make an enormously fun opposites book for all readers. Tom Frost’s illustrations make this pop-up, fold-down, pull-out book something to be treasured. 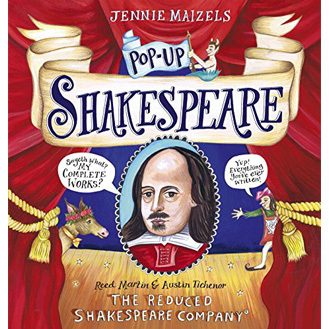 Read all about William Shakespeare’s plays, sonnets, and poems as you never have before in an entertaining pop-up book featuring five interactive spreads filled with dramatic pop-ups, fun foldouts, hilarious summaries, and fascinating commentaries. 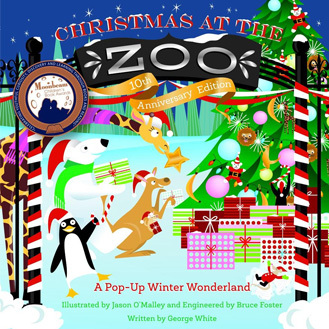 10th Anniversary Edition of Christmas at the Zoo: A Pop-Up Wonderland. This glossy pop-up book includes eight double-page pop-ups with vibrant illustrations and glitter details. 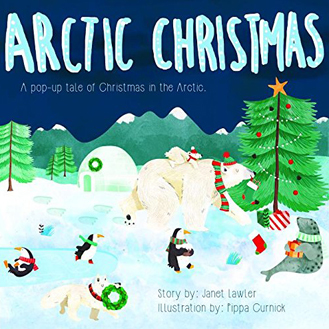 All the animals are excited about a visit from Santa Claus in this amazing holiday pop-up book for all ages! 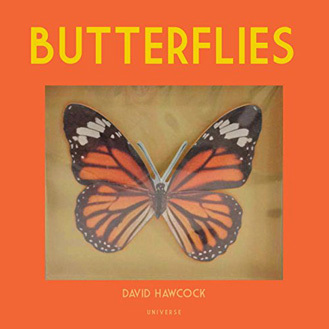 Children, students and nature lovers will all find something to love in David Hawcock’s Butterflies. Beautiful, collectible, and educational, Butterflies combines some of nature’s most delicate creatures with expert papercraft and accessible information in one fun volume. 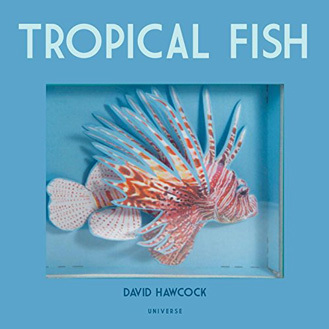 In Tropical Fish, David Hawcock presents a fun and colorful pop-up journey under the sea that will delight children, students and nature lovers. As fun to read as it is beautiful to look at, Tropical Fish combines exquisite pop-ups and interesting information in one compact volume. Whether you’re a young child or a design connoisseur, the clever associations in this diminutive pop-up will charm you in a big way. 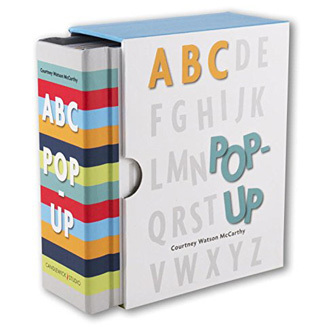 Simple and stylish, ABC Pop-Up is an elegant choice for anyone who appreciates artful design, as well as the perfect alphabet learning tool for little hands. Welcome to Main Street! Visit the bakery, fish market, hair salon, museum, and circus, lifting flaps to make extraordinary discoveries as you wander through this small town. 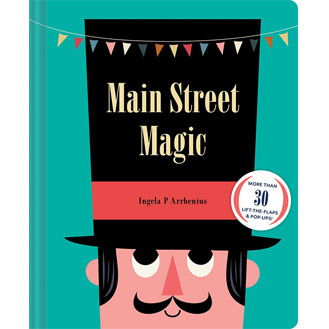 With adorable, retro illustrations and smart novelty bookmaking, there’s always a whimsical surprise just around the corner. 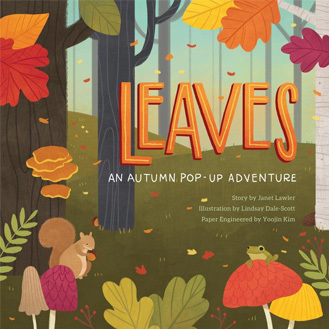 Readers of all ages will enjoy the timeless wonder of autumn leaves in this amazing new pop-up book including amazing pop-ups, educational information, and delightful interactive elements that offer change and surprise on every page in this lyrical look at Autumn. 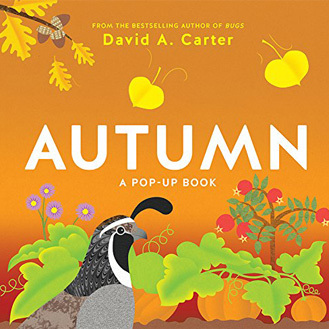 David A. Carter delivers the third book in his pop-up book series about the seasons. Each spread depicts flora and fauna commonly found during the fall. The pictures are labeled with simple text, making the book easy for young readers to understand and enjoy. 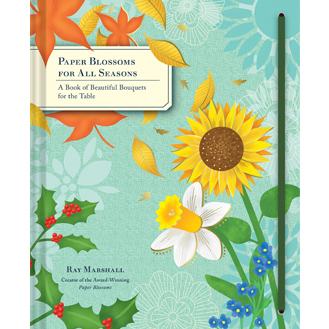 This collection of paper bouquets from the creator of the bestselling Paper Blossoms celebrates the beauty of the four seasons. Each arrangement brings surprise to any décor. This pop-up book delights with color, joy, and beauty throughout the year. 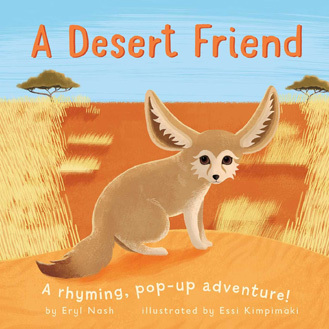 Help a little fennec fox find some playmates in this engaging novelty book with pop-ups on every page! With rhyming text and eye-catching animal pop-ups on each page, Essi Kimpimäki’s screen-printed illustrations make this an exciting visual adventure for all ages. A family of dogs packs up their car for a trip! This silly story is filled with fun novelty elements that allow readers to interact with the book. 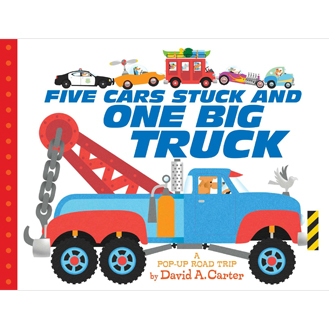 With rhyming text, bright illustrations, and lots of interactivity, kids and parents will get revved up for this brand-new David A. Carter book. 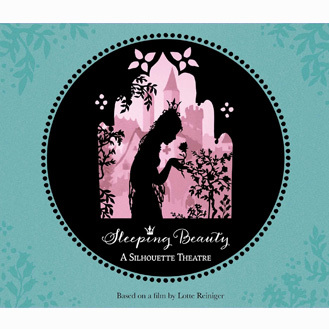 This book tells the classic story of Sleeping Beauty in an enchanting and magical way. Recreating the magic of Lotte Reiniger’s early films through remastered film stills and laser-cut pop-ups, each spread is intricately detailed and perfectly complements this much-loved classic fairy tale. Realized in jewel-like colors, Hokusai’s simple views of everyday scenes in Japan, his sense of balance and harmony, and his highly stylized but ever-changing techniques seem to capture the spirit and traditions of his homeland. 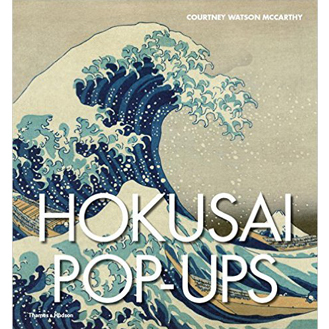 Hokusai Pop-Ups brings this stunning art to life. The magnificent prints of Ernst Haeckel, who captured the amazing forms of the natural world, spring to life in this exciting pop-up book. 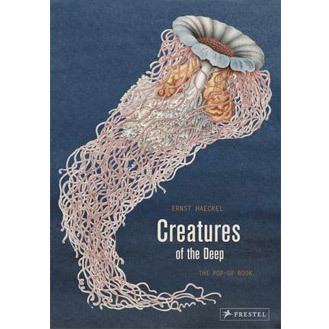 Paper engineer Maike Biederstaedt has transformed Haeckel’s work into a three-dimensional book that allows readers to appreciate Haeckel’s artwork. J.K. Rowling’s Wizarding World is full of magical curiosities. 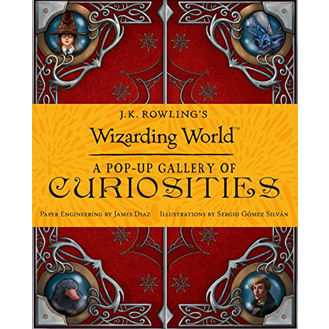 This deluxe pop-up book showcases three-dimensional renderings of some of the beloved curiosities from the Harry Potter films, and two pops related to the upcoming Fantastic Beasts and Where to Find Them. 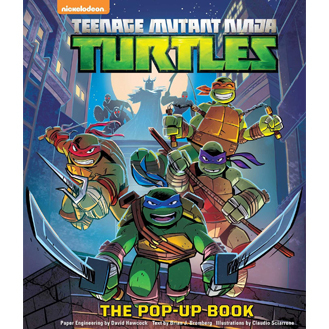 This deluxe hardcover pop-up book contains five spreads, each featuring ingeniously crafted pop-ups! Highlighting iconic locations such as the Turtle’s lair and Shredder’s hideout. The book will also feature extras including a pizza box, a pull-out poster, mask and more. Switch off the lights, turn on your flashlight and come on a wonderful shadow adventure with Midnight Creatures! 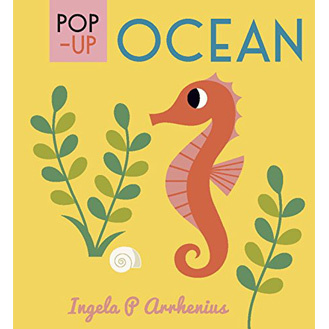 This book contains five pop-up scenes full of creatures to find, from the fork-marked lemur in the jungle to the giant squid at the bottom of the ocean. 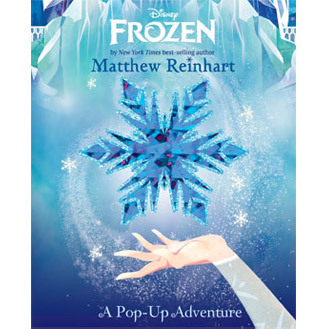 Featuring nearly 20 pop-ups from the New York Times best-selling author, artist, and pop-up master, Matthew Reinhart, this breathtaking work of art revisits the enduring story of Frozen. Elsa and Anna’s remarkable adventure lives on in a magnificent display of paper engineering and artistic devotion. In the town of Bethlehem, on a bright and starry night, a baby was born. Announced by an angel, born in a humble manger, laid in a bed of straw, visited by shepherds and wise men—the age-old. 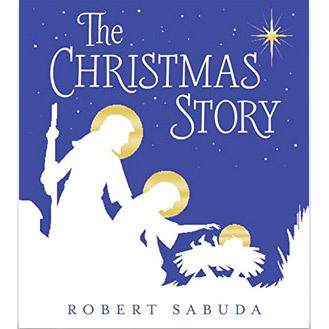 The birth of Jesus is lovingly brought to life by master pop-up artist Robert Sabuda in six gorgeously imagined scenes. The holiday season at the White House is a magical time of year, and for nearly fifty years, a gingerbread house has been the centerpiece of the White House Christmas decorations. 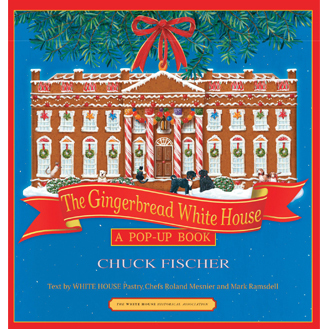 The Gingerbread White House: A Pop-Up Book, created by Chuck Fischer, invites you to enjoy this beloved tradition in your own home! 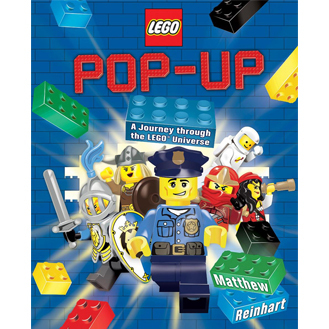 The first ever LEGO pop-up book! Matthew Reinhart creates another spectacular pop-up book, this time telling the LEGO story with equal amounts facts, fun, and adventure! Packed with a variety of features- pop-ups, pull tabs, turning wheels and more, this “fun-formative” book will be a delight for all fans. Arctic animal friends are joined by some special visitors from the South Pole for a very cool Christmas celebration. Seven spreads featuring illustrations, pop-ups and interactive elements by the award-winning creative team make this a book to be enjoyed by all ages! 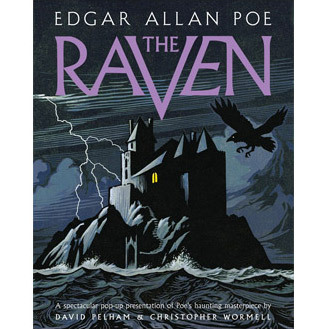 Edgar Allan Poe’s “The Raven” is one of the most widely recognized poems in the English language. Master paper engineer and designer David Pelham amazes us once again with his pop-up design interpreting this haunting love story. 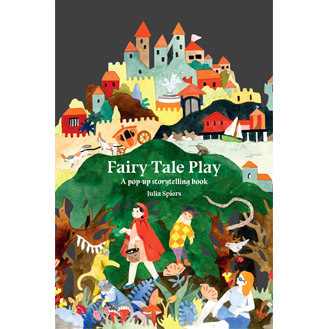 This beautiful interactive book is filled with enchanting pops, excellent booklets, and even a fairy special fortune-teller. Open your very own special Storybook of Legends with its included key, and decide your own destiny. 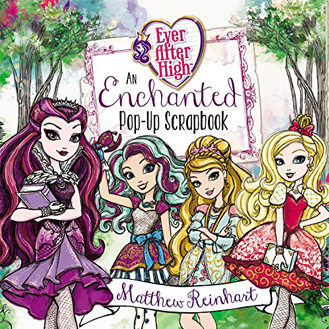 Come enroll at Ever After High! Have you ever wondered how a steam engine works? Do you have a hankering to don an engineer’s cap and race a locomotive under tunnels and over bridges? 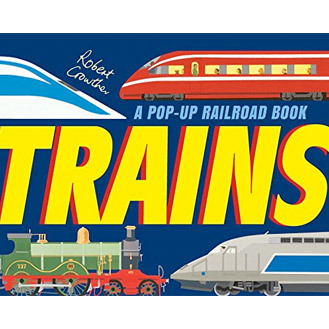 Loaded with flaps, pull-tabs, 3-D trains, and a spectacular pop-up model of a bustling railroad station. 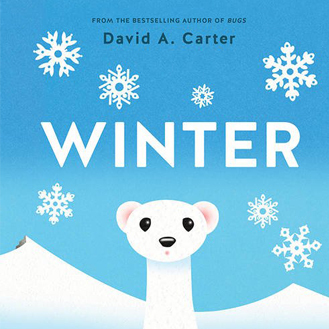 Spring is the second book in the Carter pop-up book series about the seasons. Each spread has a very brief verse and depicts common springtime flora and fauna. 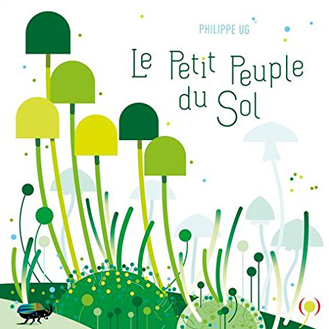 The text is simple for very young readers to understand and enjoy. 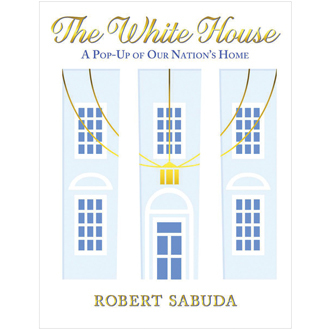 In this pop-up guide to the White House, readers can take a tour behind the scenes of the office of the executive branch and the residence of the president and his family. The White House is perfect for Presidents Day and the upcoming election. Asterix and Obelix take on pirates on the perilous open seas, and come head-to-head with the troublesome Romans in an epic 3D battle. 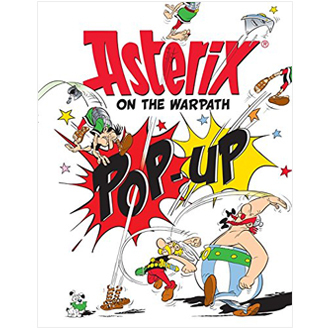 With high-quality paper-engineering throughout, this is the perfect addition to any Asterix collection. 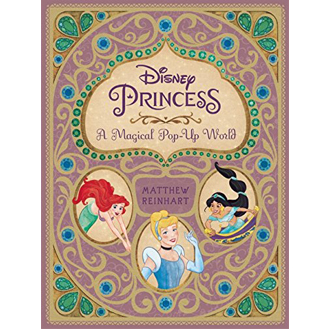 Starring the timeless Disney Princess characters, this visually stunning volume is packed with intricately designed pop-ups, transformative scenes, and many other surprises. The ultimate pop-up for collectors and Disney fans. 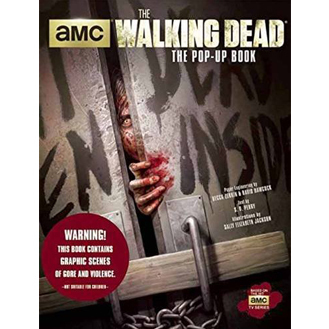 Filled with eye-catchingly gory pops, The Walking Dead takes the reader through some of the most iconic moments from the series. Featuring five spreads, each with its own central pop that depicts a key element from the show. A pilot comes in contact with a captivating little prince in his journey and search for what is most important in life. 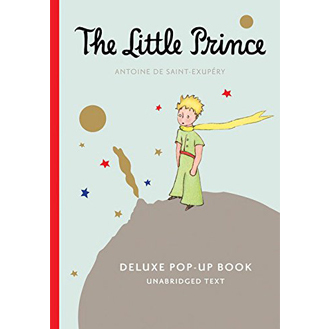 This exciting pop-up edition includes the complete original text accompanied by Saint-Exupery’s beautiful illustrations. As day turns to night, bright red cardinals flit from branch to branch and weasels frolic among the berry-laden holly. With simple verse and scenes, each spread’s pop-up reveal the wonders of the winter season. Follow a sleigh ride across a snowy landscape. Featuring scenes that change on every spread and a stunning 3D pop-up at the end, this holiday keepsake captures the thrill of a winter adventure and the magic of the season.